What was your 90-Day goal? My 90-Day goal was to lose 50 lbs. 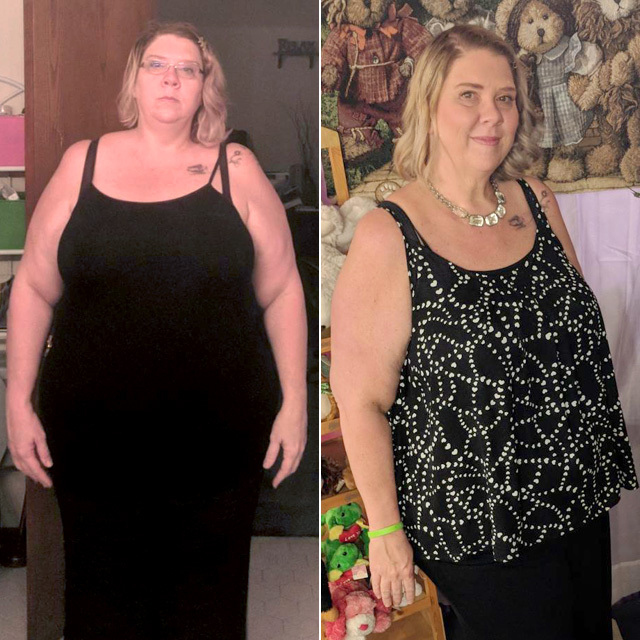 Since being named a winner, I am down over 67 lbs.+ and I dropped 6 shirt sizes. How has the Challenge positively impacted your life? Before NeoLife, working in a salon was taking a huge toll on my body. I was standing on my feet for 7 to 8 hours straight. I would get out of breath just walking back and forth to shampoo my client’s hair. I would get home and my back would throb, my knee and hips would ache. I could hardly move. And in 90 days my life has totally changed. I worked a 9 hour shift recently and went straight to the gym and got an hour on the treadmill. I have unlimited energy now, it’s amazing! My blood pressure is normal and I have no pain in my knees and hips. I’m also going to the gym at least 3 days a week. NeoLife is more than just a nutrition company. I used to stop by a popular fast food chain and order a huge bucket of fried food with wings, fries and order a jumbo sweet tea. Then I’d go home and eat cookies. My team and upline have changed that. Being apart of this community has opened my eyes and given me the education to know what I’m putting in my body. Now I eat a sixth of that portion size. I read labels and only eat organic meat and produce. With the Breakfast Pack I get full quicker and my body is satisfied. I don’t need that garbage. What is one tip you would give to someone new to the Challenge? Don’t give up. Trust me, you will regret it. NeoLife is the absolute best thing that has come into my life.